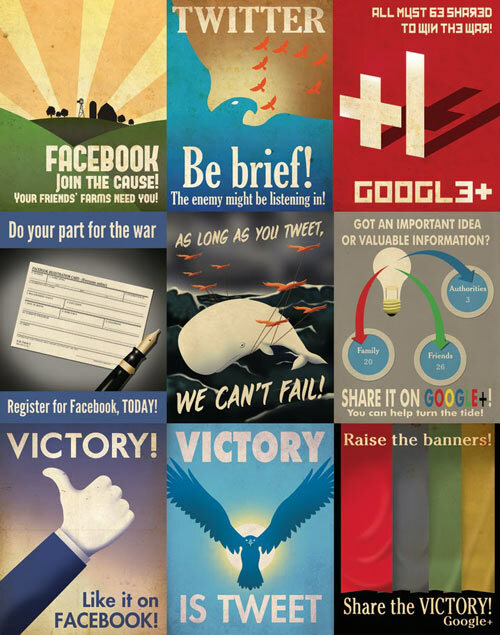 Ok so I was just reminded by our friends over at Design Milk to have another peek at the social media propaganda posters that Aaron Wood did a while ago. Delightfully cute and great stimulus for a workshop when you want to push around social media. Here they are. Enjoy. Next Entry green roofs are so last year, look out for the honey bees…..